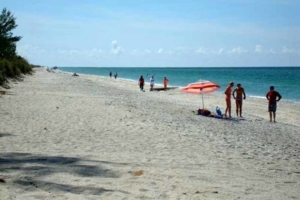 There are a wide variety of beaches around Cape Coral / Fort Myers that suit different lifestyles, ranging from the small cozy beach to the “party” beach. 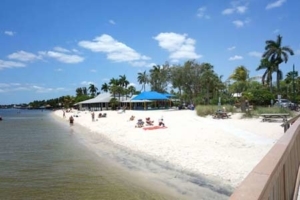 Cape Coral Yacht Club Beach which is the nearest beach is just minutes away by car or boat. It is also called The Yacht Club because it is next to a marina where the luxury yachts are in line. The well-kept beach offers a heated outdoor swimming pool. The Fishing Pier collects recreational fishermen and is a popular gathering place in the sunset. The Ford’s Boat House restaurant offers dishes, beer, wine and a wonderful view. Live music every day. 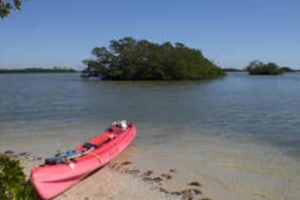 Sanibel and Captiva are two popular islands reached by car and boat. The beaches offer breathtaking views of the turquoise blue sea where you can watch the dolphins play at sunset. The beaches are together over 27 miles long. Here it seldom becomes crowded. The beaches have been rated for the best in the United States. Sanibel is well known for its beautiful shells that can be picked. Never crowded not even in the high season – space for everybody. TIP: The bridge to Sanibel Island costs 6 dollars. Parking costs 2 dollars / hour. Lighthouse beach (at the left of the first crossing on the island) is the nearest beach. Feel free to take a break in the sun and have a lunch at the Lighthouse café where their French Toast is recommended. The homemade ice cream at Pinocchio – wall in the wall with Lighthouse cafe – is well known. Sanibel Cluster is the name of their top seller. 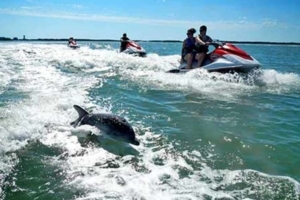 Stroll along the beach at sunset and watch dolphins play 15-20 meters from land. 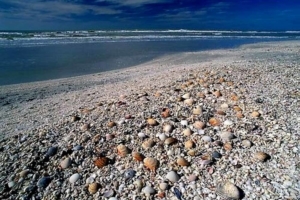 Tarpon Beach and Bowman Beach are the beaches with the most amazing shells. Fort Myers Beach is a mile-long sandy beach at the Gulf of Mexico that besides sun and bath offers water sports, shops and restaurants. Great sand to build sand castles in, shallows and a wonderful sunset in the ocean. Good parking is available at beach access # 30 (when driving across the bridge to Fort Myers Beach turn left and follow the road to McDonalds). On the right hand side there are numbered roads to the beach (beach access). Parking costs 2 dollars / hour. At Nr 30 there are fresh toilets at the parking lot. 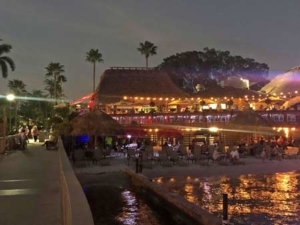 On the beach you will find Diamond Head where you can enjoy a good lunch at the bar. Sunbeds, watercraft, paragliding, water bikes etc. can be rented on the beach where it is quiet and child-friendly. Nature Reserve located when you crossed from Fort Myers Beach (South of the Island) towards Bonita. There is a fantastic sandy beach and a bus that runs (free) between the parking lot and the beach. Serving is available. Rental of bikes, canoes etc. Fine water to paddle in, walking trails and Butterfly Garden. We have +30 pool homes and condos for short/long term rentals. Live your dream – own a 2nd home in Florida!